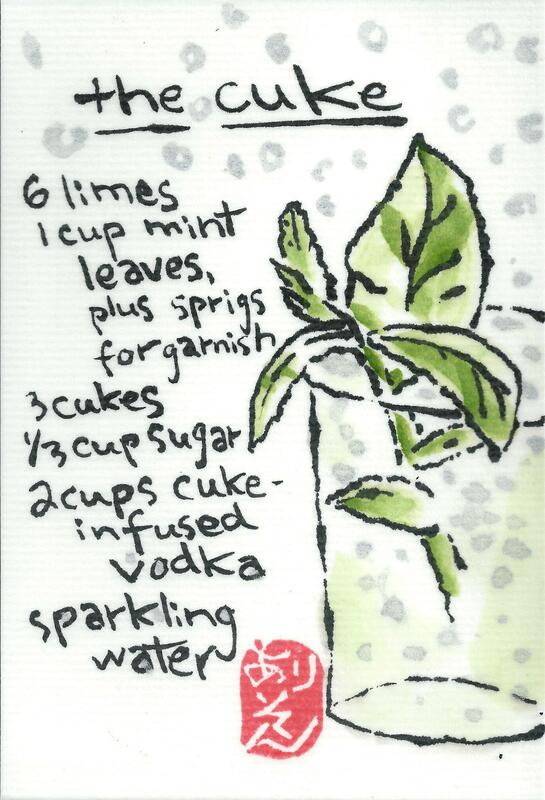 A delicious tipple for the summer, TheKitchn — I usually halve the recipe as this makes 6 drinks. Next time I have a party though, I’ll double it. 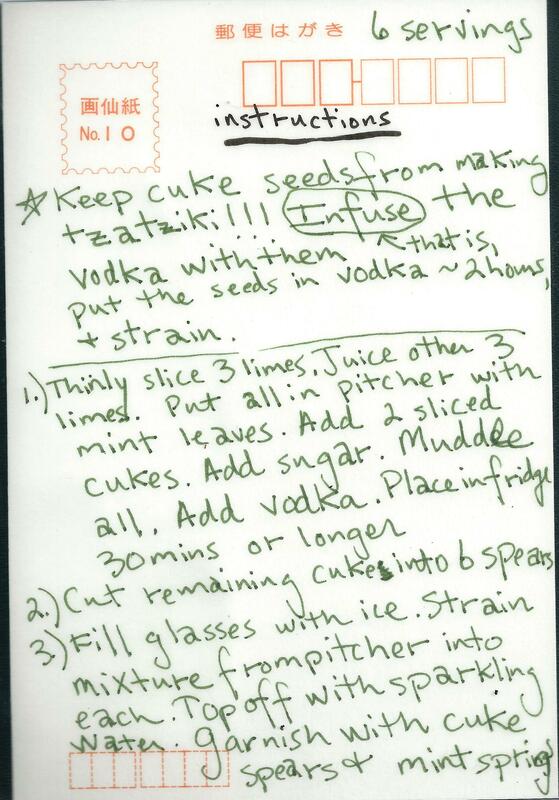 Two key changes to the recipe; first, I opt for just vodka, to lessen the flavor competition that gin provides to allow the mint, lime, and cucumbers to shine; and second, I suggest infusing the vodka with the cucumber seeds saved from the tzatziki recipe I posted two days ago.